ewa-marine VC-2000 rain cape, camera not included. Discontinued model / Please note: This housing is no longer in production and we do not have any stock left in the factory. Please check with your local distributor, dealer to find out if they can still supply you. 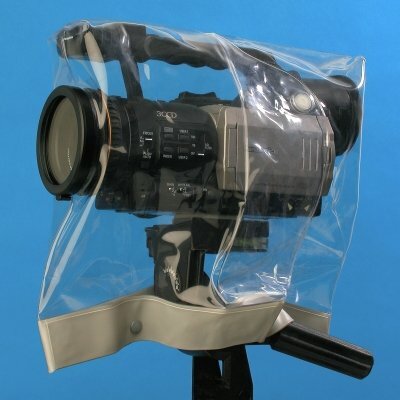 The raincape VC-2000 was especially developed for the Sony VX 2000. The VC-2000 raincape is manufactured from special PVC and has an integrated, optically neutral flat glass port. The camera is attached to the front port, by means of an ewa-marine C-AF adapter. This patented system attaches the cape to the camcorder and holds the front port in front of the lens like an optical, clear filter. The VC-2000 can be closed by means of press-studs at the bottom.